Visiting Classrooms: Logistical Problem or Fear of the (Un)Known? There are a myriad of excuses that follow this string of sentences: “I am not great at getting into classrooms. I want to be better at it. I know it is important. I know what a difference it makes. It is just too busy at the office. Turning away an angry parent just is not good. If I didn’t have to deal with discipline I could get into rooms more. I teach 75% of the time. Instructional leadership isn’t in my portfolio. I don’t know what to do when I am there. I don’t want to interrupt the learning. When I go in everything stops! There is just too much paperwork and email to deal with. The VP and I are committed to being part of the fabric of learning. Not all school administrators share this gripe. Not all share the excuses either. Anymore. Whether you are put off by me calling them excuses or not may say a little about whether your problem lies in logistics or plain old primal fear. Fear of what you ask? I suggest the thing that humans fear the most: not belonging. In this case by invoking conflict or confrontation with the ones that you spend the majority of your time with each day and happen to be leading, the educators in the building. Hurting their “feelings” versus “It is their job”. Ego concerns (yours and theirs). Avoiding an issue for too long. Resting on “they will never change”. Thinking that the conversation will become a snowball of toxicity and thus need be avoided. Having your good intentions be misconstrued. Not having the right language for the dialogue. It is going to be really hard work. holding all your calls, telling the office to talk to the Child and Youth Worker if there is an “issue”, telling the secretary that you are not to be disturbed while you are “visiting” Mr. Cowper’s grade 5 classroom, taking an innovative checklist on a clipboard with you etc. –Have you heightened the anxiety for yourself and those around you or have you increased the likelihood of a successful classroom visit? I contend the former. Can you imagine the talk in the school when the world finds out that the Principal put his entire day on hold to visit your classroom? What started out with your good intentions has now become a fear issue. Just wait till you get so busy you can’t do this (in your own mind) and you stop the visits. How do the teachers feel now that got a visit? What about the ones that didn’t? I am wondering if you are picking up what I am laying down. They are all fear issues. Logistics issues are simply masking your human need to belong to a group. Sure, sound tough. Say it out loud: “I don’t care if they like me or not . . .” Yes you do. Saying it doesn’t make it true. Do not confuse being liked and being respected. Visiting classrooms and discussing learning does not have to be an event that ends in your acceptance or isolation. It can simply be the leader you are and the way you lead. Watch an episode of Undercover Boss. The CEO usually says something along the lines of “I had no idea . . .” Why wait to be undercover? What are you waiting for? As a group of instructional leaders, leaders being compensated to use our emotional intelligence and positional authority through pressure and support, it is our obligation to stop using some variation of the “I need to get better at getting into classrooms” and replace it with a something new, something intentional. 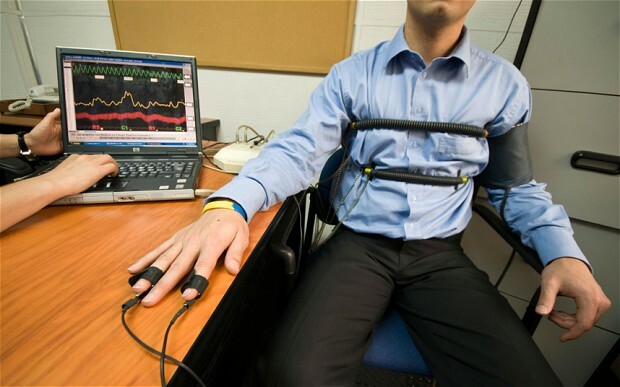 They still use lie detectors in this day and age! Making a commitment to do something new requires us to change the words we use. The actions we take stem from the words we use. The words we use are a result of our thinking. Our thinking is who we are. Our bodies defy us when we lie. It is practically impossible to fool our physical selves with words. They still use lie detectors in this day and age! Thus you stop committing and resort back to “I am not great at…” (in which case you never will be.) or some other passive statement devoid of intention. The other result is that your physical body responds to your new intentional statements. You visit the classrooms. You engage in critical and constructive dialogue. Your actions are full of purpose and conviction. Your statements on learning in the school are more authentic, informed and certainly more intentional. Do you need a starting point for working with and talking to the adults in your building that are in charge of student learning? Getting into classrooms is important and non-urgent. It is the chance to be a visible member of the learning fabric. It is a chance to remind yourself why you do this good work. It is a chance to connect with the professional educators in the building, to dialogue, laugh and even cry. 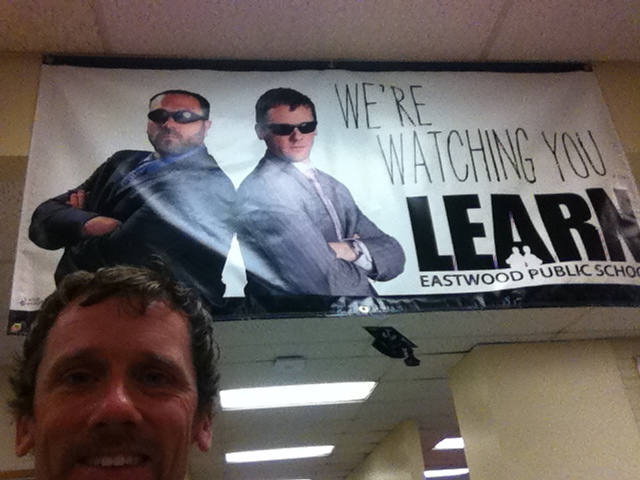 It is the only way any of your vision work will have credibility with the students, staff and parents of the school. Your positional power is not nearly enough to be an instructional leader. Portions of this blog post were written while rocking out to Imaginary Cities and Bahamas!